People often think storage units provide are only used to provide temporary space when you are moving, but the truth is that self storage can serve many different purposes. At Cox Climate Controlled Storage, we provide you with a wide variety of differently-sized options. 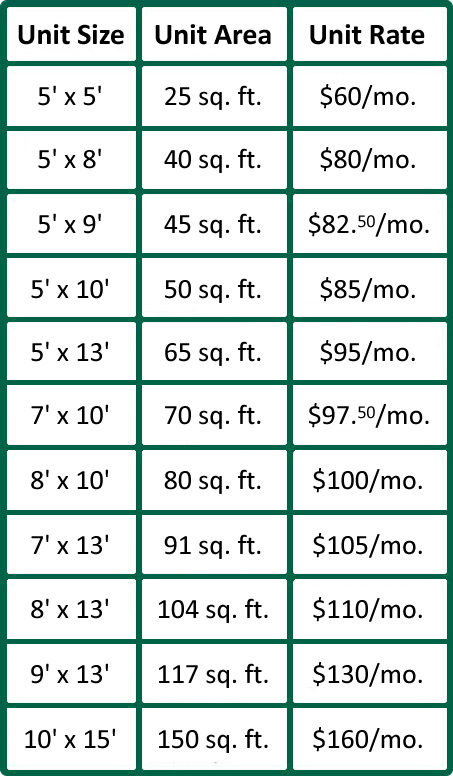 You can find all of these sizes, their square footage, and their prices in our chart below. 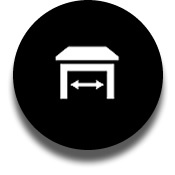 With all of our available choices, you are sure to find a storage unit that's just right for you! If you need a little help in determining which size is best, be sure to check out our handy Size Comparison guide.